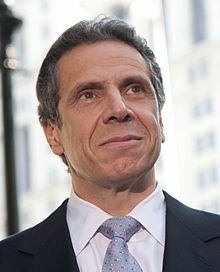 ALBANY – Governor Andrew Cuomo announced Tuesday that New York is joining the Powering Past Coal Alliance, an international coalition of governments, businesses, and other organizations committed to leading the rest of the world in ending the use of traditional coal power. On Monday, the Governor also issued a letter to Acting Administrator of the U.S. Environmental Protection Agency Andrew Wheeler urging him to abandon the EPA’s proposed replacement of the Clean Power Plan to prop up the coal industry. The response from the governor is due to the Trump administration’s plan to roll back the centerpiece of President Barack Obama’s efforts to slow global warming. On Tuesday, the Trump administration came out with new rules scaling back Obama-era constraints on coal-fired power plants, striking at one of the former administration’s legacy programs to rein in climate-changing fossil-fuel emissions. Meanwhile, the Powering Past Coal Alliance, launched by the UK and Canada on the margins of COP 23, is a coalition of governments, businesses, and other organizations to lead the rest of the world in ending the use of traditional coal power. The Alliance is committed to taking action to accelerate clean growth and climate protection through the rapid phase-out of traditional power. Delivering on the Governor’s 2016 State of the State pledge to go coal-free by 2020, Governor Cuomo in May directed New York State Department of Environmental Conservation (DEC) to propose regulations will tighten the state’s CO2 Performance Standards for Major Electric Generating Facilities by establishing CO2 emission rate requirements for existing major electric generating facilities. The state stands ready to help workers and communities transition to a clean energy future through the Governor’s Clean Climate Careers initiative and the Electric Generation Facility Cessation Mitigation Fund created to address the needs of the local communities affected by any closures, as well as a host of clean energy programs to support transitioning these plants away from coal. New York has also established a Clean Energy Standard for half of its electricity to come from renewable sources by 2030, complementing Governor Cuomo’s ambitious Reforming the Energy Vision strategy (REV). The governor’s office says REV is building a cleaner, more resilient and affordable energy system for all New Yorkers by stimulating investment in clean technologies like solar, wind, and energy efficiency. The REV strategy is intended to ensure New York State reduces economy-wide greenhouse gas emissions 40 percent by 2030 and achieves the internationally-recognized target of reducing emissions 80 percent by 2050.